Circle Y Yoga Ranch is a uniquely barn converted studio in the heart of north central Texas. nestled between Peaster and Poolville. In just a short ride from downtown Weatherford, you can unwind, learn and practice on 33 acres of ranch land. The settling comfort of the studio promotes peace and reflection. Passing through an ancient wood carved doorway transcends and encourages students to an inner world. A high reaching ceiling speckled with muted lights casts a meditative ambiance where an ionized air circulating system provides a healthy breathing environment. Warm colors and eco-minded bamboo floors further help connect and ground students. Outside under a vast tin roof, water cascades into a pool. Workshops and classes can be comfortably enjoyed outdoors, as well. Stretch and relax before and after class in solitude or in community on a big porch to take in a calming view of rolling pastures, horses and other farm animals. 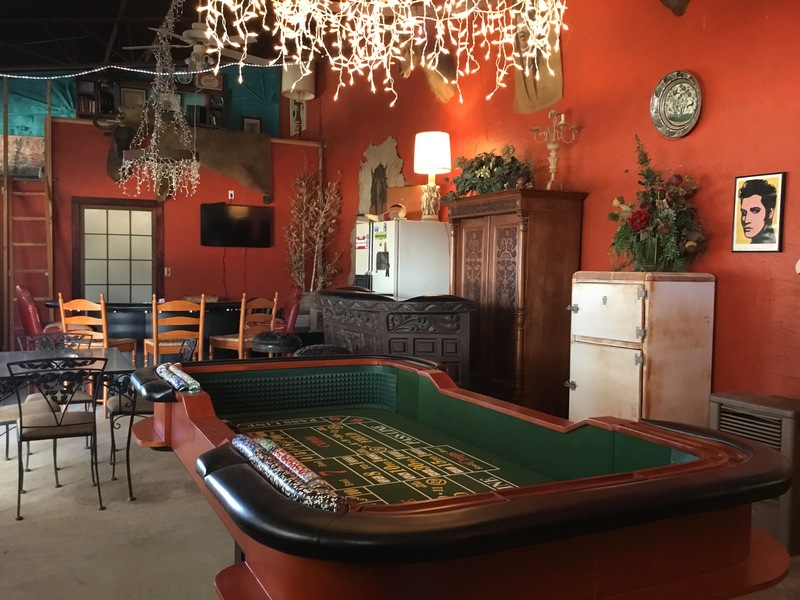 The adjoining, eclectic cantina offers a fun venue to rent for gatherings and fund-raisers that can include casino play on a craps and black jack table! Circle Y will host a relaxed and rustic environment for people to learn and gather as individuals, families, businesses or communities. Come check us out! The studio holds space for group yoga practices restoring and renewing bodies, minds and spirits! The cantina welcomes families, friends, businesses and non-profits to gather for meetings, fund-raisers for any occasion with use of a craps and black jack table. A metal roofed patio covers 2,000 square feet with a 'redneck waterfall' to cool outdoor parties. 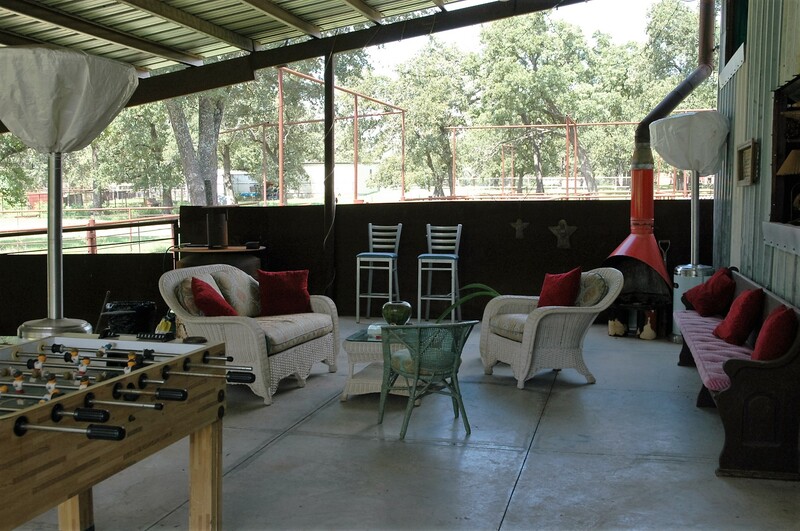 In view of the patio and overlooking the pasture and tanks is a covered, lighted stage that can hold a full band to an adoring crowd in lawn chairs, or perfect for presentations! The 1.3 acre tank invites adventurists to Parker County's first and only SUP facility. Teambuilding, cross-training, individual or family fun is available on 8 stand up paddle boards! We can also host your groups American Heart Association CPR/First Aid or BLS certification courses, as well. Whether it is with your family, business, organization or just a group of friends, come out to the ranch for a special time at an eclectic venue! Contact us with your ideas and requests!